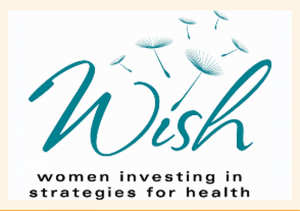 WISH – Women Investing in Strategies for Health – is recruiting new members to the group, a women’s giving circle that is committed to funding health care needs in Southern Colorado and growing a better understanding of the community’s health needs. WISH, modeled after a similar program at Poudre Valley Hospital and Medical Center of the Rockies, is sponsored by the Memorial Hospital Foundation. “We are a women’s giving circle that comes together to learn about community health care needs and directs resources to those needs,’’ said Cari Karns, senior director of the Memorial Hospital Foundation. WISH will fund health care through projects at UCHealth in Southern Colorado, or through partnerships in the community with UCHealth, Karns said. The fledgling organization, only about four months old, is already prepared to award grants of up to $5,000 for eligible projects. Memorial Hospital departments, staff, affiliated physicians and/or community partners are invited to apply for a WISH grant by Oct. 31, 2016. Applications must be signed and directly submitted by a department director to the foundation. Most of the grants awarded are in the $1,000 to $2,500 range. Grant requests will be reviewed and key applicants interviewed by the WISH Steering Committee. A slate of recommendations will be voted on by the entire WISH membership in January. The selected slate of recommendations will be submitted to the MHF Board for final approval. Successful applicants will be notified in January by the WISH Steering Committee Chair and the UCHealth Memorial Hospital Foundation senior director. The group, which currently has about 20 members, hopes to expand to about 50 to 75 members, Karns said. It began in June with support from Dr. Kim Hayes, wife of former Memorial CEO George Hayes, and Kay Miller, chief nursing officer at Memorial. The group meets quarterly for social and educational events. For more information about WISH, please contact Cari Karns at cari.karns@uchealth.org or call 719-365-4483. You may also go to http://mhf.thankyou4caring.org/WISH.